The CW’s original “Fight Club” ad, teaming up its DC superheroes and villains, was a bit of amazingly silly fan service. How could someone possibly improve on it? Three words: Add. Kara. Danvers. 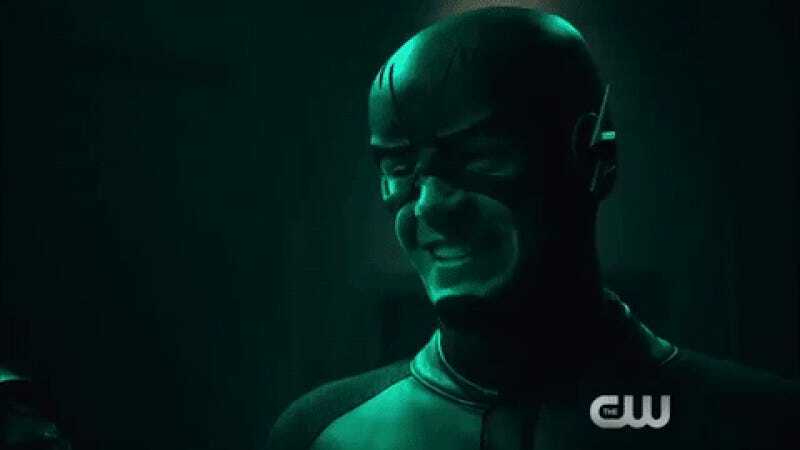 The channel has just dropped “Fight Club 2.0”, which bumps up the crossover’s superheroic potential with the arrival of Supergirl and Legends of Tomorrow in the best way as they all face off against Cisco and Felicity’s giant sphere of fear. It kinda looks like a very angry Portal turret. But seriously, the fun part of this whole thing—sadly you can only see a snippet of it above, all glorious four-and-a-half minutes of the promo is currently locked behind having to watch it in the CW’s new app—is the banter between these characters... especially with Supergirl. Her utter glee with Barry when she figures out that it’s “that Fight Club thing” is delightful, especially next to a curmudgeon like Ollie. And everyone gets a little bit, too. It’s just ridiculous amounts of fun. How is the DC/CW TV universe so thoroughly likeable*? *The answer is Supergirl, basically. It’s always Supergirl.